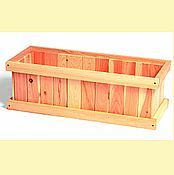 Our 30 Inch Cedar Window Box has a classic design that will enhance any flowering plant arrangement you choose. 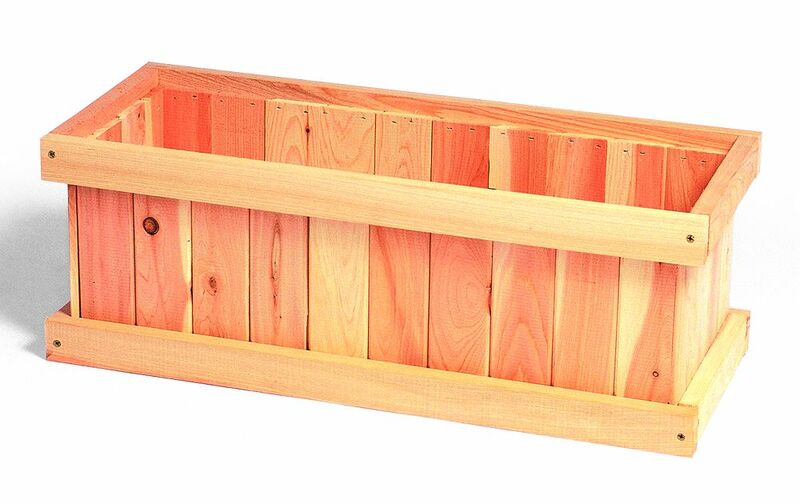 This cedar window box is constructed of Eastern White Cedar which is a rot and insect resistant wood. You can either use three 8" pots, a 24" plastic liner, or plant directly into the box. There are drainage holes in bottom of the box and it can be mounted as a window box or used as a stand alone planter box. You can use three 8" pots, a 24" plastic liner, or plant directly into the box.